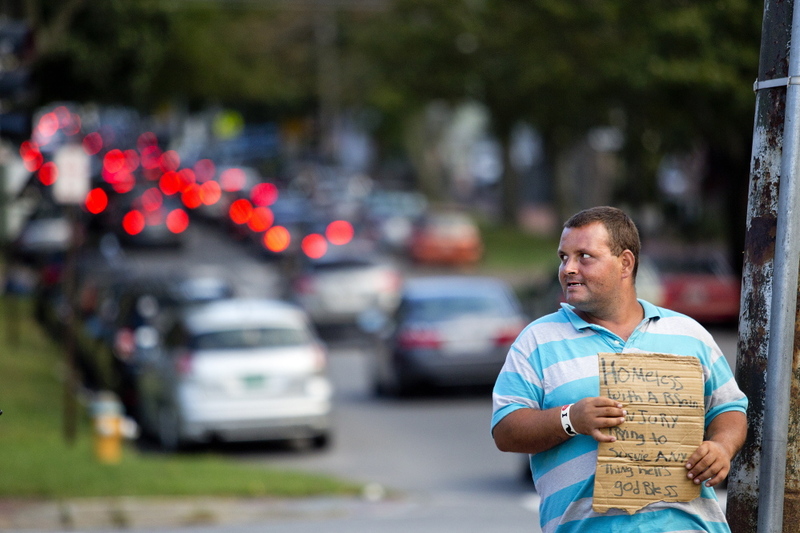 Louis Walker, 32, of Portland, panhandles for money at the corner of State Street and Park Avenue on Friday evening. Walker, who lives with his wife in a tent in the woods, says he’s been panhandling for about three weeks. “I’m glad they’re keeping it legal,” he said.